A transformer is an electrical device used to change the voltage in an electric circuit. It usually consists of a soft iron core with a rectangular shape. An incoming wire (the primary coil) is wrapped around one side of the core, and an outgoing wire (the secondary coil) is wrapped around the opposite side of the core. Each wire is wrapped around the core a different number of times. 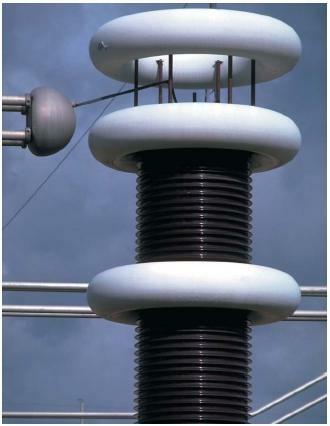 A transformer works on the principle of inductance. An alternating electric current entering the transformer through the primary coil creates a magnetic field within the iron core. The strength of the magnetic field depends on the strength of the electric current. Once the magnetic field is established in the iron core, the reverse effect occurs in the secondary coil at the opposite side of the core. The oscillating (vibrating) magnetic field within the core creates an electric current in the secondary coil. The strength of the electric current is determined by the number of times the outgoing wire is wrapped around the iron core. A transformer can be used either to increase or decrease the voltage in a circuit. A transformer of the former type is known as a step-up transformer; one of the latter type is known as a step-down transformer. Transformers are used widely in everyday situations. The transmission of electric current from its source (such as a hydroelectric dam) to the consumer can be accomplished most efficiently at high voltages. The high-tension wires one sees overhead in the open country carry electric current at high voltage. But most household appliances operate at much lower voltages. It is necessary, therefore, to install transformers near the point where electric current enters a house or within appliances themselves. hello, im looking for information about transformers used as capacitive divisor and its main parts, article like this above is good, but i need some detail information. hope you can help me. really really thanks from Guanajuato Mexico.